ORLANDO- ‘How many times “Simple” was used in today’s #BillMcDermott’s keynote?’ tweeted one of the attendees today at SAP’s Sapphire Now conference here. Nobody probably really knows. Those that tried to determine just how much probably lost count halfway through the SAP CEO’s keynote which focused on the software maker’s efforts to extend the reach of SAP HANA further into the realm of non-technical users. The company’s latest effort involves the release last February of SAP Business Suite 4 SAP HANA or S/4 HANA. 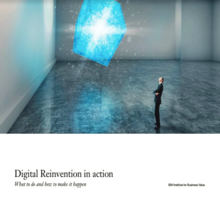 The solution is essentially the result of SAP’s re-writing of its enterprise resource planning software, Business Suite in order to optimize it to run on its HANA in-memory platform. Now that organization have access to larger amounts of data ever, there is a greater need to be able to sift critical data from information that does not matter and be able to glean actionable insights from that data, according to McDermott. 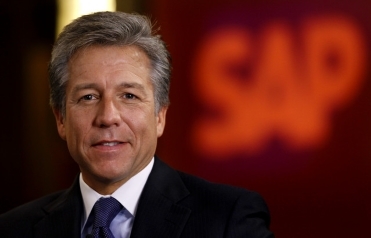 #POPQuiz #SAPPHIRENOW How many times “Simple” was used in today’s #BillMcDermott’s keynote? Answer after the session is over. S/4 HANA is designed to connect users, devices and business networks in real-time to support the development of business models. “It will also help accelerate the on-ramp to Internet of Things and big data” and an “on-ramp to Internet of Things and Big Data,” according to SAP. It is meant to allow customers to use solutions such as customer relations management and human resources application on-premises or in the cloud. Whereas other solutions are unwieldy, S/4 HANA comes in a smaller package that allows administrators and users to analyze data faster and cheaper. He said S/4 HANA now has 400 customers around the world. S/4 also benefits from the use of a user interface based on SAP Fiori which clothes robust capabilities under a “consumer-friendly, easy-to-use” UI, he said. However, Ramini Street, a provider of enterprise software support services for products from SAP and other vendors such as Oracle and Business Objects, released yesterday results of a survey of 230 SAP licensees which pointed to some challenges around S/4 HANA. The survey said only 14 per cent of the polled licensees have committed to using S/4 HANA with 33 per cent saying “no” and 52 per cent indicating “maybe” to the solution. The top reason for their reluctance were: “no strong business case and unclear ROI (68 per cent; and “unproven, early stage product (44 per cent). It’s far too early to judge S/4 HANA or the merits of the survey according to some analysts since the product was only launched less than four months ago. The Forrester analyst said the product’s ability to deliver HANA capabilities either on-prem or via managed cloud or public cloud is a boon for many SAP customers. However, this message appears to have been lost in the “confusion” that resulted during the February announcement. At least one Canadian company is upbeat about S4/HANA. SAP offers its customers solutions extension developed by OpenText that enable users to easily discover, capture, managed, secure and use digital data. A long-time partner of SAP, OpenText announced yesterday the launch of new integrations to the HANA platform for SAP Document Presentment applications. The release will provide customer insights and contextualize multi-channel communications. The company also announced Vendor Analytics powered by SAP HANA for the Invoice Management Application developed by OpenText.